ASRI (Ankylosing Spondylitis Registry of Ireland) is a national registry, designed to provide descriptive epidemiological data on the axial spondyloarthropathy (axSpA) population of Ireland. Uveitis is a common extra-articular manifestation in patients with axSpA. The exact prevalence and associated characteristics are not clearly defined in the literature. The aim of this study was to determine the prevalence of uveitis in a large axSpA cohort and identify associated characteristics. Patients enrolled in ASRI from 2013 until June 2017 were included in this study. A standardised detailed clinical assessment is performed on each patient at their inclusion. Structured interviews provide patient-reported data, including the presence of previous diagnosis of uveitis. Disease activity is assessed by Bath AS Disease Activity Index (BASDAI), spinal mobility by Bath AS Metrology Index (BASMI), function by the Bath AS Functional Index (BASFI) and Health Assessment Questionnaire (HAQ) and quality of life by AS Quality of Life (ASQoL). Statistical analysis is performed using SPSS. As of June 2017, 683 patients have been entered in the database: 77% (n=526) male, mean age 45.9 years (SD 12.4), mean disease duration 19 years (SD 12.2), mean delay to diagnosis 8.6 years (SD 8.1), 78.8% fulfil modified New York criteria. Mean BASDAI is 3.9 (SD 2.5), BASMI is 3.6 (SD 2.5), BASFI is 3.6 (SD 2.7), HAQ is 0.52 (SD 0.52) and ASQoL is 6.4 (SD 5.5). HLA-B27 status is available for 74.1% (n=506) of the cohort: 92.7% of these are HLA-B27 positive. The prevalence of uveitis in this cohort is 36.5%. With regards to other extra-articular manifestations, 6.9% have dactylitis, 18.3% have psoriasis, 9.2% have inflammatory bowel disease, 17.6% have enthesitis and 34.1% have peripheral arthritis. Patients with uveitis are older (47 v 45 years, p=0.04) and have a longer duration of axial symptoms (21.7 v 17.3 years, p<0.01). There is no significant difference in markers of disease severity. Patients with uveitis have a higher prevalence of dactylitis (11.6% v 4.3%, p<0.01), enthesitis (25.9% v 13.5%, p<0.01), hypertension (26.1% v 18.6%, p=0.02) and HLA-B27 positivity (95.9% v 90.4%, p=0.02). There is a lower prevalence of smoking (22.2% v 32.2%, p=0.01) in patients with uveitis. Use of biologics is similar in patients with and without uveitis (30.7% v 26.8%, p=0.3). There is no difference in the use of NSAIDs (54.8% v 48.4%, p=0.1). There is a trend towards lower prevalence of IBD (12.1% v 7.6%, p=0.06) in patients with uveitis. In multivariable regression analysis, disease duration, dactylitis and enthesitis are independently associated with the presence of uveitis, with dactylitis the strongest predictor (OR 3.2, 95% CI 1.5-6.8, p<0.01), followed by enthesitis (OR 1.8, 95% CI 1.1-2.9, p=0.02). In this axSpA cohort, 36.5% of patients have ever had an episode of uveitis. Uveitis is independently associated with dactylitis, enthesitis and longer disease duration. There is a higher prevalence of smokers in patients without uveitis. Disclosure: G. Fitzgerald, Abbvie, 9; P. Gallagher, None; C. Sullivan, None; K. O Rourke, None; C. Sheehy, None; F. Stafford, None; C. Silke, None; M. Haroon, None; R. Mullan, None; S. Fraser, None; G. Murphy, None; S. Chavrimootoo, None; O. FitzGerald, Pfizer, Abbvie, BMS, Novartis, UCB, Janssen, Celgene and Lilly, 2; F. O' Shea, None. Fitzgerald G, Gallagher P, Sullivan C, O Rourke K, Sheehy C, Stafford F, Silke C, Haroon M, Mullan R, Fraser S, Murphy G, Chavrimootoo S, FitzGerald O, O' Shea F. Dactylitis and Enthesitis Predict Uveitis in Large Axial Spondyloarthropathy Cohort [abstract]. Arthritis Rheumatol. 2017; 69 (suppl 10). 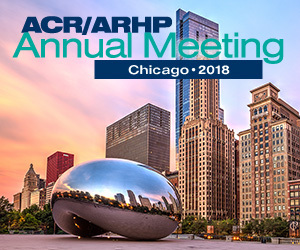 https://acrabstracts.org/abstract/dactylitis-and-enthesitis-predict-uveitis-in-large-axial-spondyloarthropathy-cohort/. Accessed April 21, 2019.